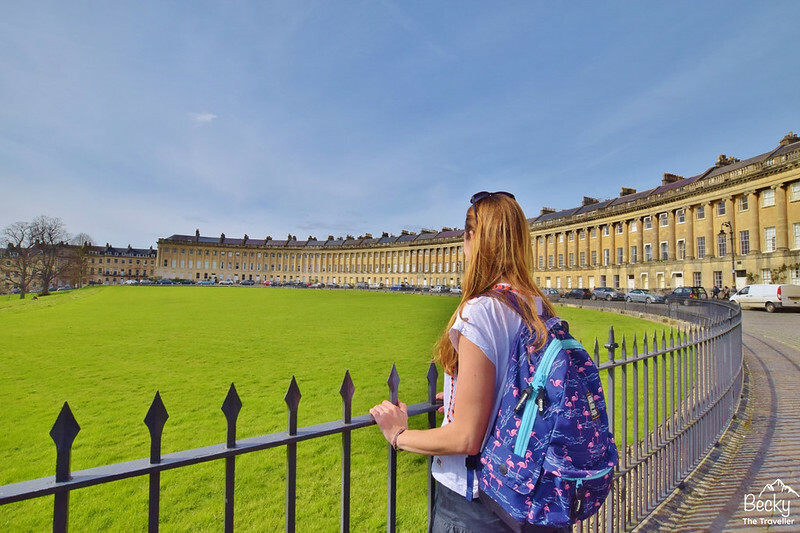 Here’s your bath itinerary for what to see in 24 hours in Bath, you may wish to adjust depending what time you arrive but hopefully, this will help you plan your trip and enjoy all the best bits of Bath City in a short time. The great thing about visiting Bath in the UK, well two things really. Firstly, the entire city is a UNESCO World Heritage so you’re in for some beautiful historic places on your visit. But secondly, all this is in a relatively small area so you can see a lot of Bath in a short time. Whether you’re visiting Bath for 24 hours, 48 hours, a long weekend or a one-day trip from London, even in a few hours you won’t be disappointed. Where do you start your visit to beautiful Bath? If you’re like me then as soon as I arrive in a city I deviate towards the river. This is a great way to orientate yourself if you’re short on time and it’s very pretty too! The River Avon runs from its source at Acron Turville in Gloucestershire for 70 miles until Avonmouth, near Bristol. Did you know there were NINE rivers named the ‘River Avon‘ in the UK? Anyway back to your 24 hours in Bath visit! 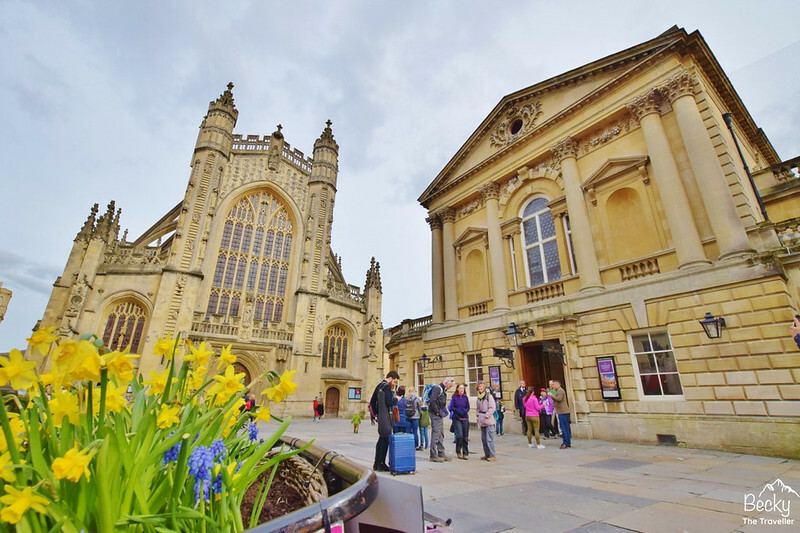 This Bath itinerary includes approximate times to help you plan your day but free to tweak to your own personal itinerary for what you like to see and do on city visits. Have an awesome Bath trip! 2 Bath Itinerary for a longer visit? 3 Where to stay in Bath? This iconic bridge crosses the River Avon in England and is a magnet for tourists so it won’t be hard to miss. The bridge has been standing for many years, completed in 1774, they had some good builders, demonstrating stunning Georgian architecture! The interesting thing about the bridge is from the other side you’d have no knowledge that it was a bridge at all. Pretty little shops line each side of the road, from flower shops to bakeries and the architecture is gorgeous, well worth a few photos. Once across the bridge you’ll see Pulteney Bridge in all its splendour, facing the bridge with the river on your right you’re actually quite high above the River Avon in Bath and you can walk alongside the wall to capture some pretty shots, all for free of course! The Abbey is instantly in your sight as you walk into the city and no visit to Bath would be complete without seeing the Abbey. From the outside Bath Abbey is stunning but don’t miss out on going inside too, the detail is mesmerizing. You can’t help but spend the entire time walking and looking up at the ceiling and windows. You can either take the opportunity to go inside and explore now or save for later on in the day (unless you’re visiting on a Sunday*). But make sure you are back in time for the last entry of the day (Monday – Friday at 5.15 pm and weekends* 5.45 pm). 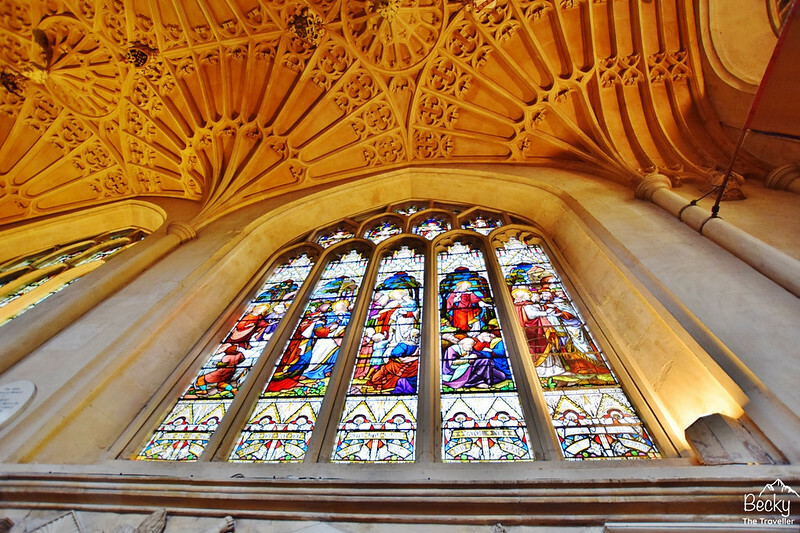 *Please check the hours for Sundays as Bath Abbey is a working church. Normal hours on a Sunday are 1-2.30 pm and 4.30-6pm so you might need to change your plans to fit this in. Next to Bath Abbey is the must-see Roman Baths, it’s my recommendation to leave this for now and come back a bit later. But at least you know where it is now! What to see and do in Bath? 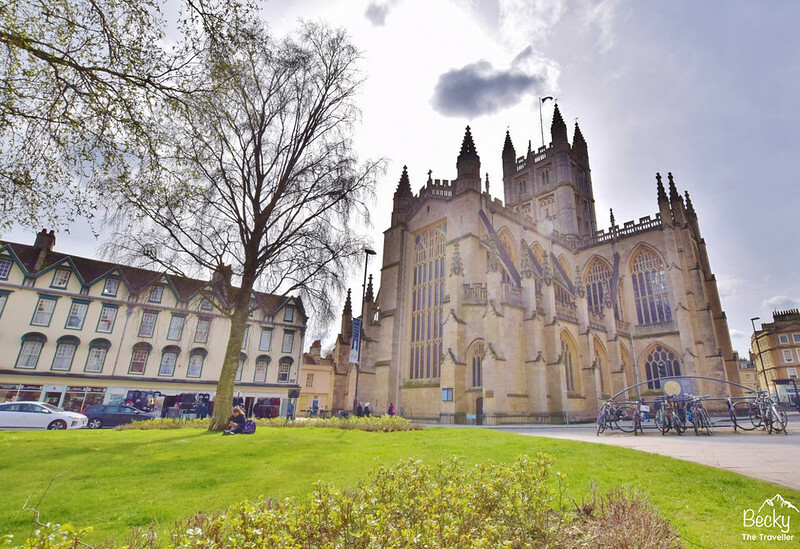 – As a UNESCO World Heritage City, you can enjoy some time exploring the streets of Bath City or popping in the local shops. You’ll notice the pretty architecture as you walk down little alleyways so don’t feel like you need to stick to the main paths through the city. There’s nothing more satisfying than getting a little bit lost in a new city, then finding something awesome or a cute little coffee shop. 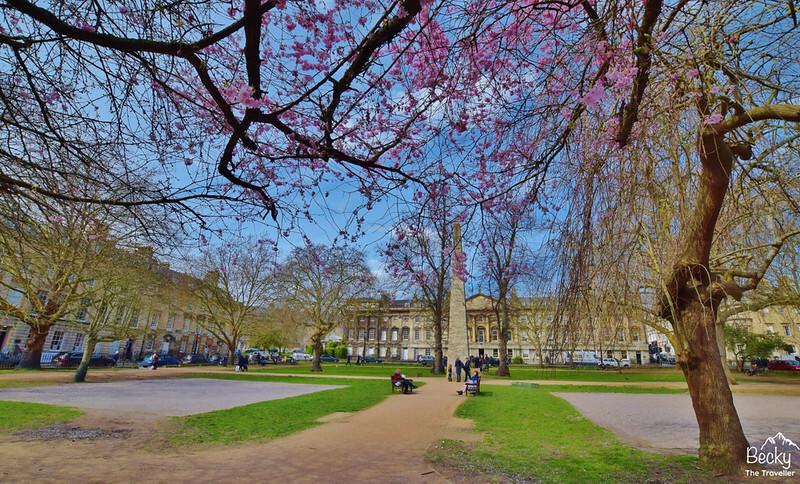 Be sure to include Queen Square and the King’s Circus on your walk, there are both gorgeous squares (or circles) with stunning Georgian architecture. The Circus will also lead you to the next stop on my suggested Bath itinerary, how good is that! 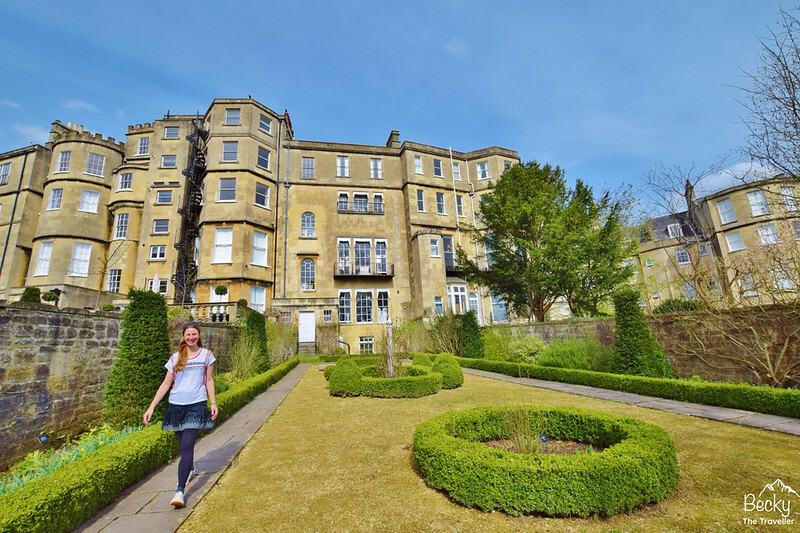 As you walk up from King’s Circus you’ll reach the Royal Crescent, a spectacular property overlooking a large green space. You can walk, sit or play on the grass in front of the Royal Crescent. I was surprised how big it was and the detail on every door and window is beautiful. Be sure to stop for a few photos here in this iconic spot. The challenge is where to stand to get you and the entire Royal Crescent in the photo, I’ll tell you now there’s no best place! Bath Crescent Museum – The museum at the Royal Crescent is definitely a must-visit place on your Bath visit. The home to Henry Sandford between 1776 and 1796, each room is beautifully set out with a museum guide and information in each room so you have the chance to ask questions. The tour takes you through each room from the parlour, dining room, kitchen and gentleman’s retreat to the lady’s and gentleman’s bedroom upstairs. I know on a gorgeous sunny day you might not want to go indoors but this is a fascinating museum it really transports yourself back to the 18th century way of life. Looking for more free things to do for you Bath visit? – Once back outside take a different route back via the Georgian Gardens, a small but quaint garden often overlooked. In spring, when I visited the flowers were just starting to peek through the soil. I can imagine it’s a beautiful garden to visit during the summer months in Bath. 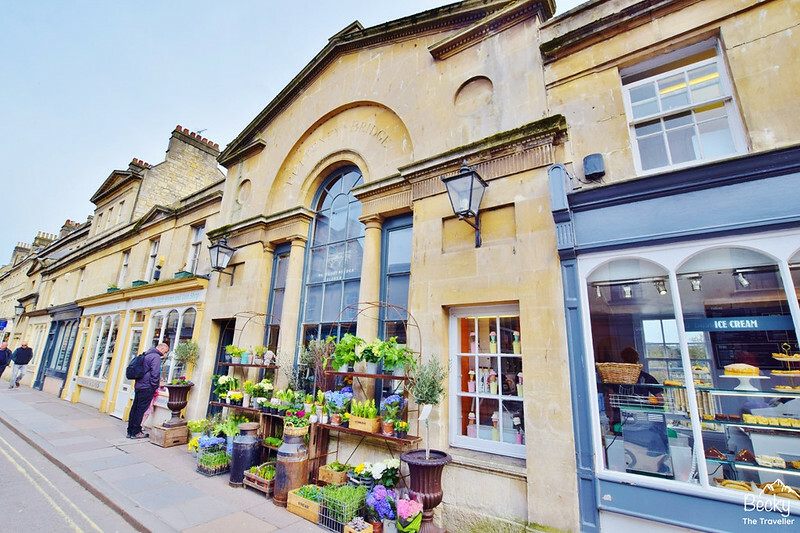 This is a must-see thing to see and do on your Bath trip. One of the biggest museums in Bath, ok well I didn’t visit every museum but I certainly felt this was pretty big. There is so much to see, read and explore in the Roman Baths Museum (oh and take photos of haha). To immerse yourself more in the museum remember to pick up the audio guide included in the entry fee. It’s a simple step by step numerical guide so you press the number of the information point you’re at and it tells you all about it. Be prepared, there are a lot of numbers, to listen to the entire guide would take several hours! You can really imagine yourself in Roman times. Ok well, maybe not with all the cameras and mobile phone selfies going on. But anyway the Roman Baths are stunning. You start by walking around the top section, which also has a great view of Bath Abbey too. Around the outside section of the baths, you can meet Roman characters hanging out or playing games. 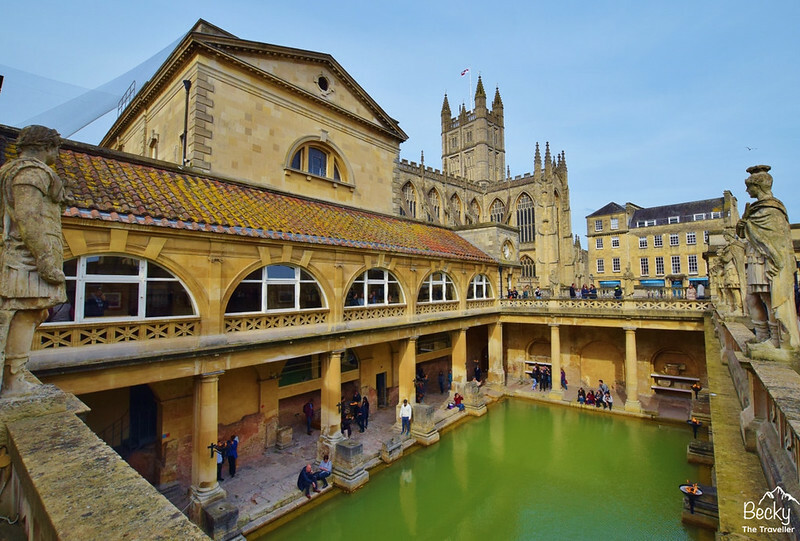 Tips for planning your visit to the Roman Baths – I visited the museum late on a Friday and it was very busy inside (the end of Easter the holidays). I can imagine weekends being pretty busy so if you’re visiting Bath for only 24 hours, especially on a Saturday or Sunday. I would aim to do add this to your Bath itinerary for earlier in the morning to avoid the crowds. The opening times vary throughout the year, most of the time last entry is 5 pm, however, this is extended from mid-June to August to 9 pm. Check the Roman Baths opening times here. *Prices vary due to the time of year, see full price list here. Bath Itinerary for a longer visit? Jump on the Bath hop-on/hop-off bus. You can buy your tickets in advance here. Thermae Bath Spa – In need of some pure indulgence? Why not enjoy the historic city of Bath with a mix of contemporary design as you relax at this gorgeous spa in the heart of the city. Read more here at Bath Spa. 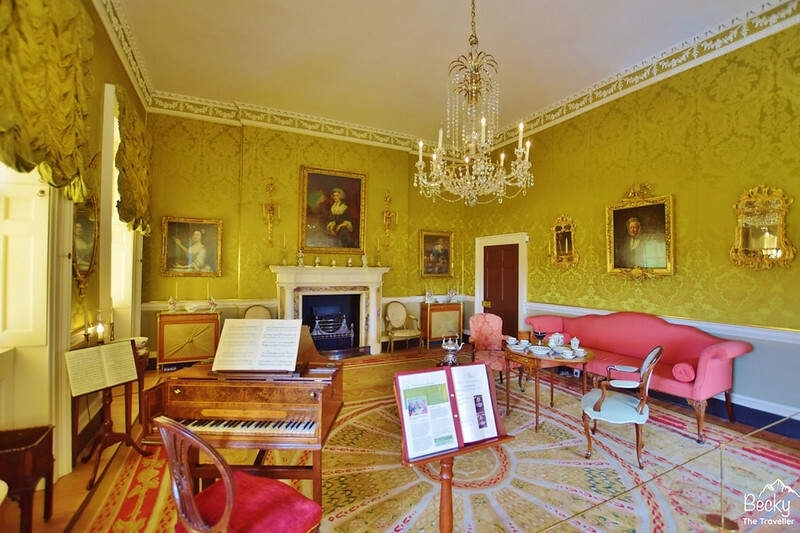 Visit some of the many museums in Bath City – Bath Postal Museum for all things postal, Jane Austen Centre, telling the story of Jane’s life in Bath, The Holburne Museum and many more which you can find here museums and galleries in Bath. Treasure Hunt – Fancy a challenge? Then try one of two fun walks through Bath city, with ‘Curious About’ collecting useful information as you go. 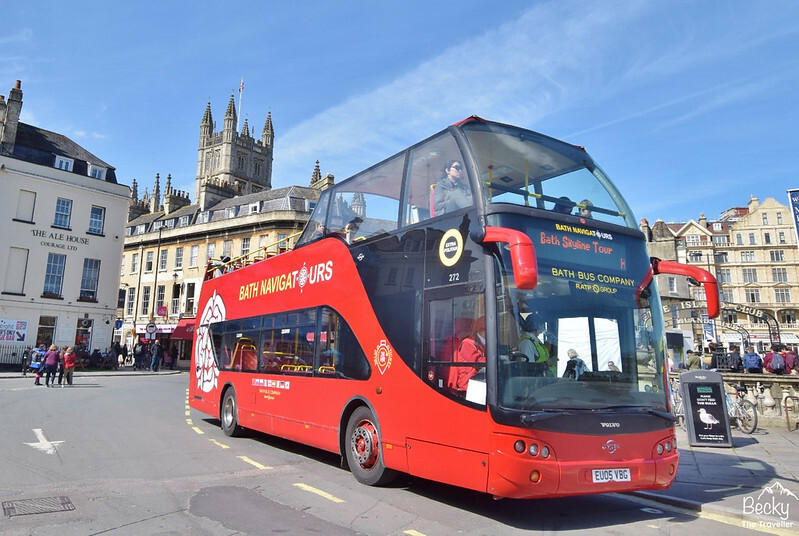 Two route options – Bath Abbey to the Circus (1.5 miles/ 2.4 km – 1 hour 30 minutes) or The Circus to Royal Crescent (1 mile/ 1.6 km – 1 hour). Simply click the link to purchase and download the walks. Where to stay in Bath? 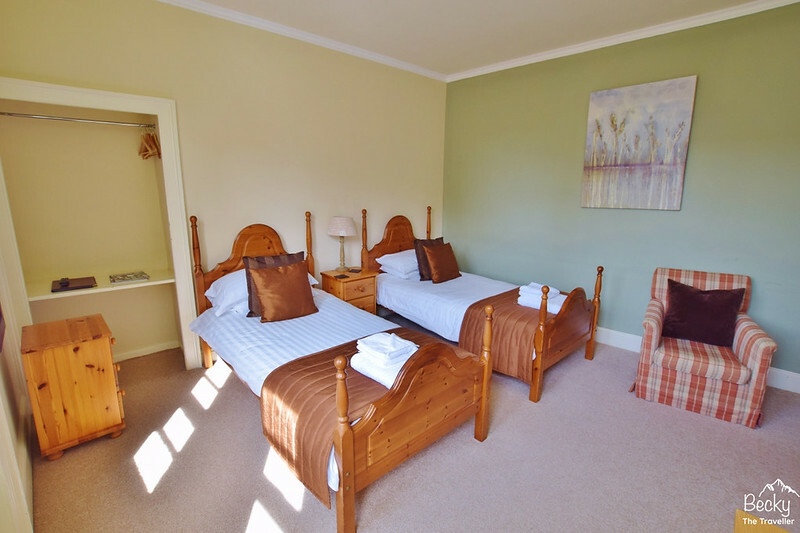 I stayed at the Rising Sun Inn B&B, located close to Pultney Bridge so an ideal location for your trip and perfect if you’re following my itinerary. There are plenty of cheap hotels or hostels in the city so you have a great choice. But of course, Bath is a popular destination for a weekend break so be sure to book your accommodation in advance. What do you think of my 24 hours in Bath itinerary? Do you want to know anything else you should see and do in Bath? Feel free to drop me an email or message in the comments below. *My visit was in partnership with Visit Bath. All thoughts and opinions are my own. I loved Bath! Unfortunately, when I was there, the cathedral was closed. One regret but I’d happily go back there. Your photos reminded me of what a wonderful place it is. thanks! I took a day trip to Bath during a summer at Oxford and wish I could’ve stayed longer! It is so beautiful. I’m going to save this for later because I’m planning to go back this summer.